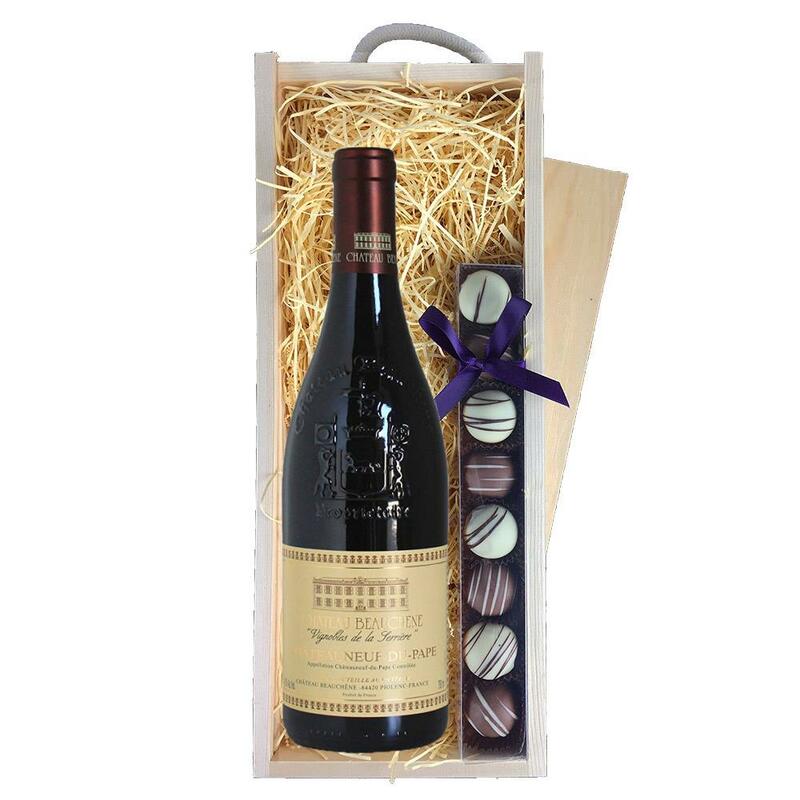 A single bottle of Chateauneuf du pape Chateau Beauchene 70cl and a single strip of fine Hand Made Truffles (110g) Presented in a wooden gift box with sliding lid and lined with wood wool with a Gift Card for your personal message. Chateauneuf du pape Chateau Beauchene - Chateau Beauchene belongs to the Bernard family, vignerons in Chateauneuf-du-Pape since 1794. Michel Bernard has run Chateau Beauchene since 1971 with wife Dominique and, more recently, daughter Amandine. Chateau Beauchenes vineyards span eighty hectares and three sites, whose unique microclimates and soils produce grapes with subtly different flavours and textures. This product is hand packed onsite by Gifts International, and is not affiliated with any other brand. Gifts International is responsible for this product combination/set.